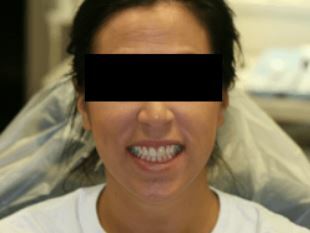 Lindsey had composite veneers placed on her teeth at a young age. Over time the composite began to stain, and she was very self-conscious to smile. 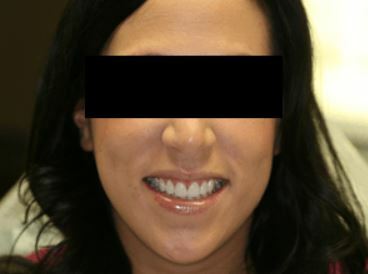 Lindsey’s options were limited to either replacing the composite with new composite veneers or replacing the composite veneers with porcelain veneers. 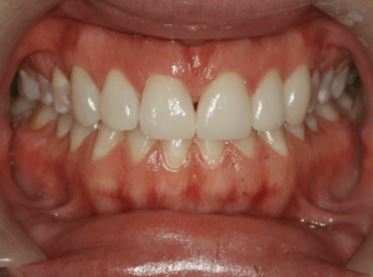 There are two major drawbacks with composite veneers. First, they tend to stain over time and must be replaced. Second, they have a matte appearance that does not quite measure up to the appearance of natural teeth. Porcelain, on the other hand, has a very natural tooth-like appearance. 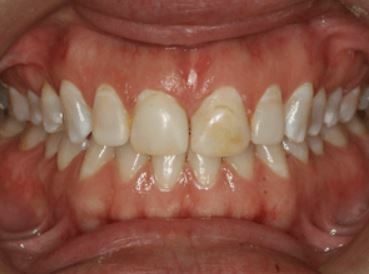 Also, porcelain is smoother around the gums and does not tend to cause the inflammation (swollen looking gum appearance) if done correctly that can occur with composite veneers. Lindsey chose to have porcelain veneers option and has been smiling ever since.